A 10 year old Genie GS-4390 RT scissor lift, which has completed a major inspection and refurbished exclusively in Australia and painted in celebratory gold, is heading to the United States to be showcased at the Genie Headquarters when Genie continues to celebrate 50 years as a global market leader in the Elevating Work Platforms (EWP) industry. 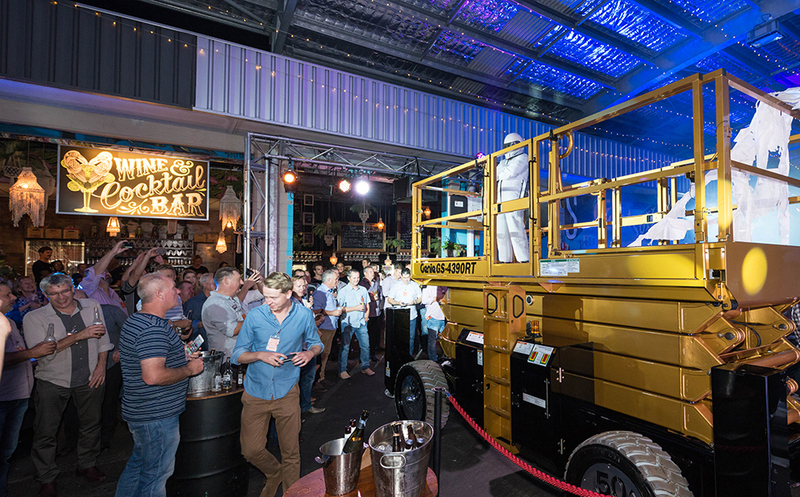 The refurbished 10-year-old scissor lift was unveiled at the Genie Annual Customer Appreciation Night held on Queensland’s Gold Coast in early May. The superb event, held at the eclectic Miami Marketta, was attended by Matt Fearon, Genie President, Terex Aerial Work Platforms (AWP), who is based in Washington in the United States, and Jim Barr, Genie Vice President and General Manager, Asia Pacific – Terex AWP. 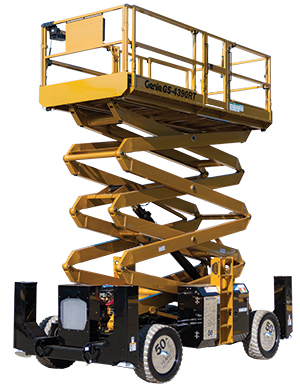 “A Genie 50 year initiative, the ultimate Genie GS-4390 RT scissor lift was rebuilt by a large number of the Genie team in Australia, with a massive 4.4-litre V8 engine,” said Brad Lawrence, Genie General Manager Australia, Terex Aerial Work Platforms (AWP). Ely said he expects the golden Genie GS-4390 RT to be a massive hit in the United States. “Anyone with petrol or engineering in their veins will be drawn to this machine, which celebrates the 50-year journey of Genie,” he said. “For me, it has been an honour and privilege to lead the teams that have rebuilt this machine and I look forward to the global response when this ultimate scissor lands in the US in a few months’ time,” said Ely. The key members of the Genie Team who refurbished, with custom features, the Genie® GS™-4390RT were Steven Griffin, Engineering Technician, Darin Kline, Workshop Technician and Mike Randle, Engineering Manager. Features include the 4.4 litre V8 engine, alloy wheels and celebratory gold paint. Below: The reveal of the new 50-Year golden scissor at the Genie 2016 Customer night held in the Gold Coast in May.